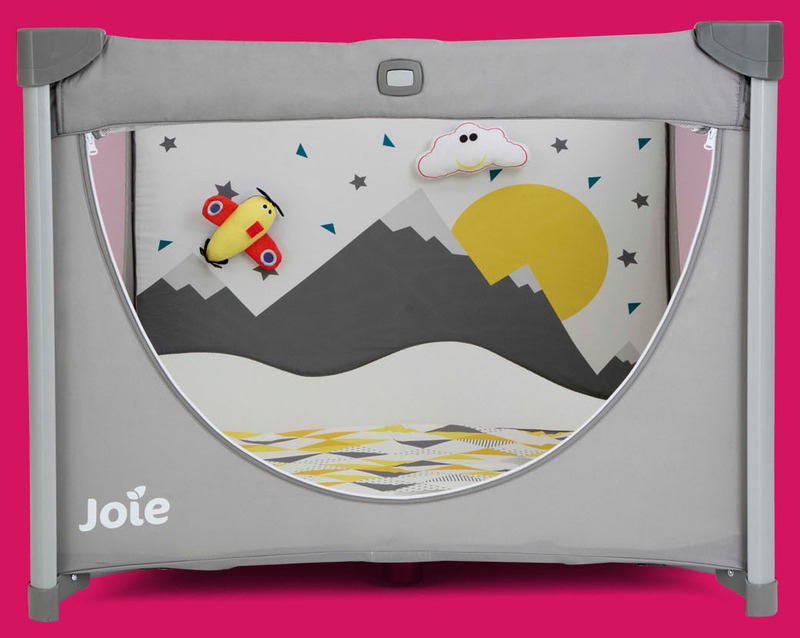 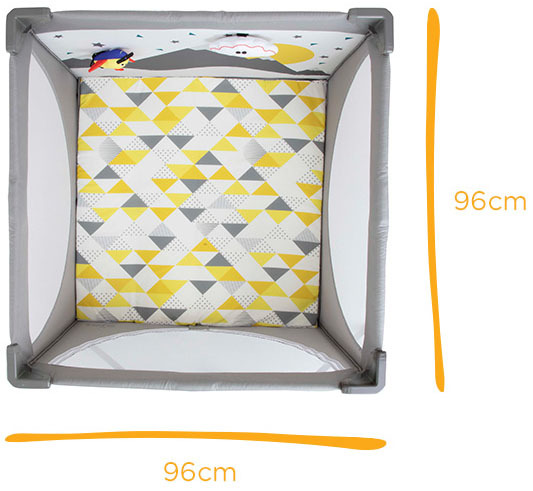 This comfy and airy playpen entertains, educates and engages little ones for playtime and sends them off to a delightful dreamland for naptime. 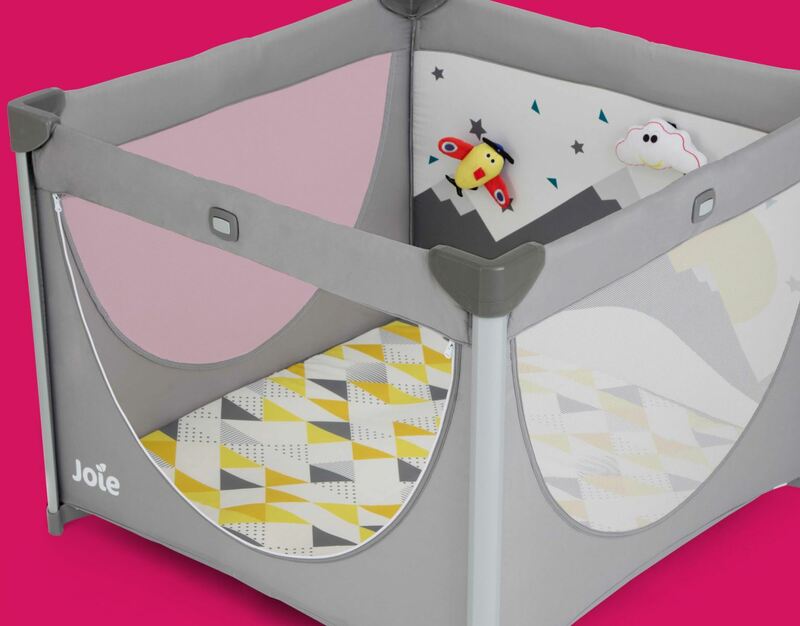 With a sweet and neat square design, this cot provides more room inside to stretch and squirm whether napping or playing. 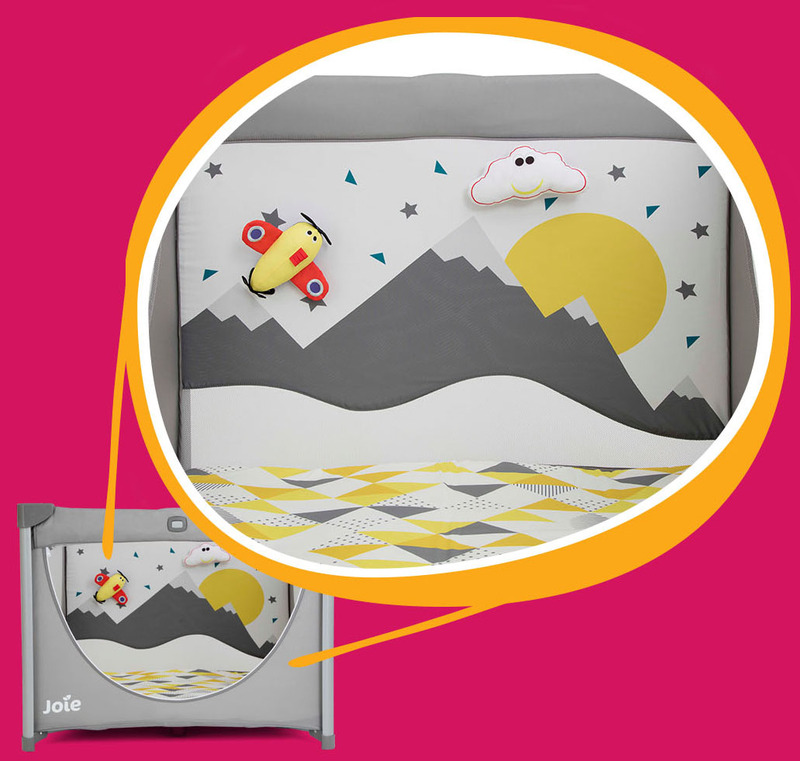 Here to keep little ones safely contained while letting imaginations run free, this playful and scenic print turns traditional mesh into magical adventures.